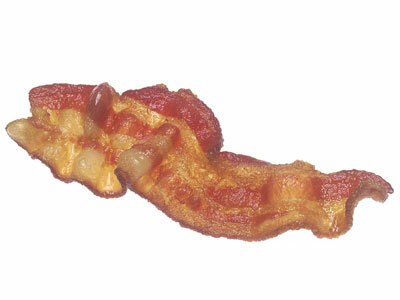 Machine Gun Bacon: Who Cooked it Best? Ted Cruz. Hollis Doyle. Fact. Fiction. Who knows, anymore. In one, a fictional presidential candidate entertains reporters at a gun range by wrapping bacon around a machine gun, covering it in aluminum foil, and cooking it by blasting the gun at a target. In the second scenario, the presidential candidate is real, the gun is a semi, and instead of talking to a gaggle of reporters, he appears in a video produced by one publication. The bacon-cooking method, however, remains the same. The first is an episode of Scandal featuring fictional candidate Hollis Doyle. The second is a video of non-fictional candidate Ted Cruz produced by Independent Journal Review. That political fiction and political reality have fused into one giant unit of unreal reality, or real unreality, has been understood for months. The fact that two videos from two worlds depict the same idiosyncratic act is hardly remarkable. What is slightly more so is that a show known for extravagant plot twists is getting its material from real life. The Scandal scene aired this week; the Cruz video, in August. I'm speechless. The hit ABC show 'Scandal' perfectly reenacted my Machine Gun Bacon video. In this week's episode, a character who is running for President cooks bacon on a machine gun & eats it for the press. The final product is a stunning shot-for-shot recreation of what we did with Ted Cruz. Truly amazing.